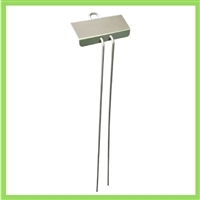 Stainless steel garden markers for permanent identification of plants. 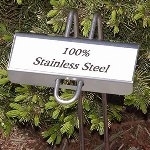 Laminated label for garden markers Stainless steel stakes with stainless steel label plate made by Kincaid Gardens. We print laminated plant labels that attach to the plate(sold separately). These are the labels we use in the field and the only one we have found the is legible year after year. 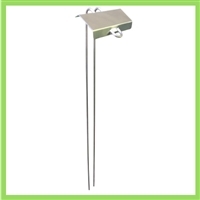 Stainless steel stakes with stainless steel label plate made by Kincaid Gardens. We print laminated plant labels that attach to the plate(sold separately). These are the labels we use in the field and the only one we have found the is legible year after year.